Bonnie Terry, M. Ed., BCET, Board Certified Educational Therapist #10167, is considered one of the top experts in the country in helping teachers and parents identify their students’ learning disabilities/learning difficulties. 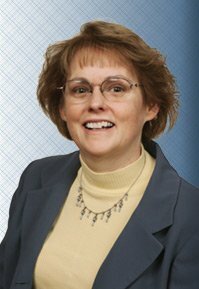 Bonnie will answer your questions on learning, dyslexia, ADHD, reading (fluency and comprehension), writing, study skills, and math. Get your list of great education and special needs apps at BonnieTerryLearning. 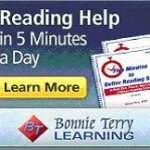 Visit the HowToLearn.com Reading page sponsored by BonnieTerryLearning. Find out the underlying root cause of your or your child’s learning problems…even if you or they have dyslexia, ADHD, or autism. 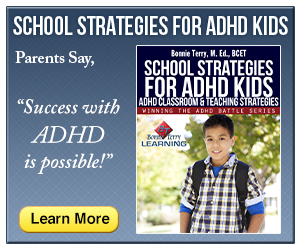 Address the underlying root cause oaf learning problems, even if you have dyslexia, ADHD, or autism. You know your child is not reading as well as they should be. You know how important being able to read with ease is for your child’s success in school. You know the longer you delay in getting help your child’s self esteem suffers. You may have talked with your child’s teacher to ask what you can do without getting practical answers on what you can do to help your child. You’ve been searching for answers, and don’t know where to turn. 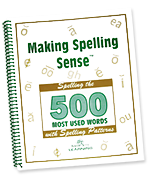 Your child or students will learn how to spell over 500 of the most frequently used words in the English language. By using this step-by-step method, you will be able to spell thousands of words. 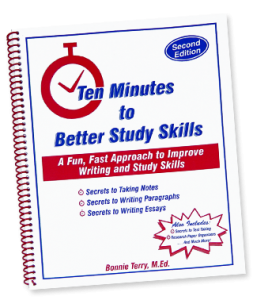 Using visual, auditory, and tactile methods of learning, your students are sure to learn. It is phonetically and sequentially based. It also strengthens visual perception through the puzzles and other exercises that are provided. There is a structure to English, and if we teach spelling according to the structure, everyone can spell!